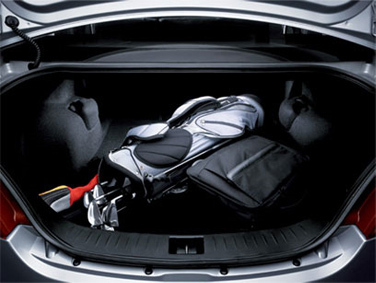 Style, safety, spaciousness, practicality, quality, comfort and performance are the seven key areas that guided Proton Designers and Engineers to formulate a package that meets the requirements and expectations of a wide spectrum of buyers. The Persona Elegance features a quality four speaker audio system, be entertained by the Blaupunkt stereo system and operate the volume and track selection via the steering wheel controls without taking your eyes off the road. The Persona Elegance list of standard safety features includes ABS brakes with Electronic Brake Distribution, SRS dual front airbags, front seatbelt pre-tensioners, remote keyless locking and an engine immobiliser with alarm. The interior of the Elegance is a refinement of the original Persona design with its bold stitched full leather interior set against a new black and grey dash trim, an integrated glove box, new door mounted power window and remote mirror controls as well as a redesigned centre console. 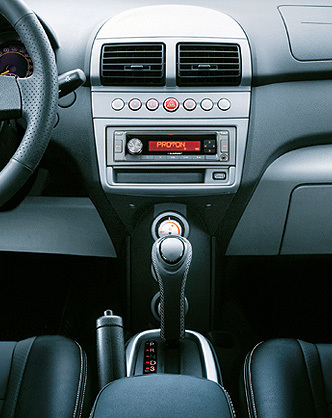 An expansive standard equipment list includes ABS brakes with EBD, driver and front passenger SRS airbags, air conditioning, power windows, remote keyless entry and boot release, power exterior mirrors, electronic reversing sensors, AM/FM/MP3/CD 4 speaker audio system and multi spoke alloy wheels. Not only does the rear look great but it’s as functional as ever, the Persona comes equipped with Reverse Parking Sensors as standard. The Persona Elegance is powered by Proton’s 1.6L DOHC IAFM Campro engine which produces maximum power of 82kW at 6000 rpm and 148Nm of torque at 4000rpm, however more importantly it delivers fuel economy of just 6.6ltr/100km on the combined cycle for the manual and 6.8l/100km for the automatic. 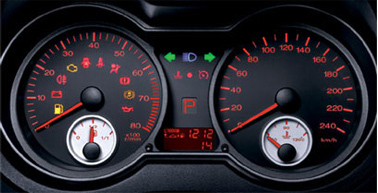 Note: Fuel consumption will vary depending on driving conditions, driving style, vehicle conditions and options or accessories. The Persona Elegance responds to each and every driver input. 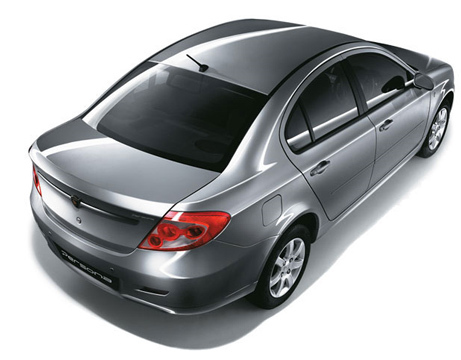 Lotus engineered ride and handling has created this agile four door sedan that is responsive and inspires confidence. The Persona Elegance boasts a spacious 430-litre boot compartment with the added versatility of 60/40 split fold rear seats for additional luggage space. 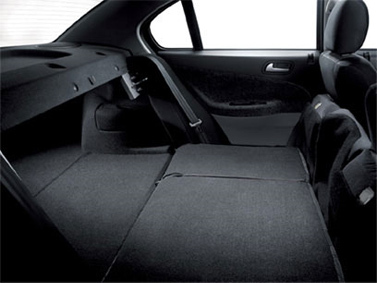 Furthermore, the rear seats independently fold forward and create an opening into the cabin which makes the Persona Elegance versatile for transporting larger objects.